Homes and Businesses can all benefit from a dependable and robust access control system. If you are searching for a company to install a Blaine Minnesota Access Control unit on your property, our company has the qualifications and experience needed to get the install completed smoothly. 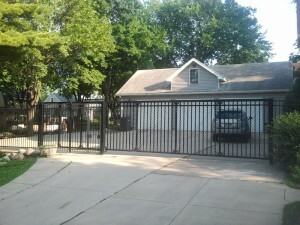 Arrow Fence is a local Minnesota Fence Company that specializes in custom fencing and access control. 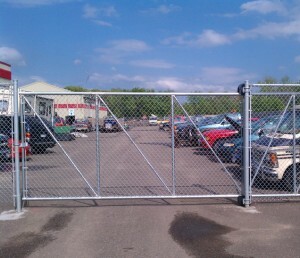 Need a gate that will open and close without any issues? Contact our Blaine Minnesota Access Control experts for a free quote. Our access control professionals understand how to install and operate all of our equipment like the back of our hand, but we don’t expect you to know everything there is about gated access control. We will sit down with you to discuss the application at hand and what type of controls would work best for your property. We offer keypad controls, internet access controls, remote access controls, proximity cards, radio access and more. Security – Are there high priced items at your property? If you are looking for intense security we can help you decide the height and thickness of your fence, posts and gate. To ensure all expensive items are safe and not vulnerable on your property anymore. Visual Appearance – Our skilled fencing contractors can get very creative when it comes to what we do. Whether you are not trying to attract attention or you are looking for the extravagant. Our access control installation will be a product of your design and desire. Contact Arrow Fence today for an estimate on a Gated Access Control system for your property by calling (763)755-0088 or email info@arrowfenceco.com.